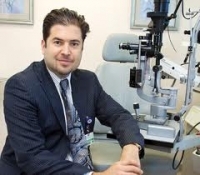 » Watch Next Video by Ehsan Sadri - What happens post cataract surgery? Cataract surgery is a process which the surgeon removes the cataract out of the eye of the patient. Cataract surgery is generally painless, rapid recovery, and is done in an outpatient basis. The cataract is essentially emulsified or turned into a liquid using a special device called phacoemulsification. The patient is consciously sedated, so that means they are awake. The process is so rapid, so painless, that we do about 3.4 to 3.5 million cataract surgeries every year in the United States today.